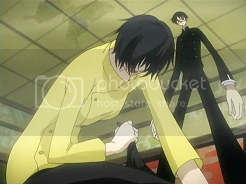 xxxHolic is a case-based mystery drama. Every episode, a different case gets investigated. All these cases have something to do with supernatural events in Japan, though this time, they’re for real. This is the concept, the anime throws in a couple of main characters who get involved in these cases and you’ve got your recipe for success. First of all, these cases are fascinating to see. They range from computer addiction and superstition to ghost stories and rain sprites. Some times, our main character follows a human who has some kind of supernatural problem. He then acts as a bystander, who sometimes offers to help. At other times, he meets supernatural beings himself, and at other times, he becomes victim of these supernatural events himself. This series consists out of 24 episodes, and somehow the creators succeeded in making each of these episodes and cases unique and interesting. 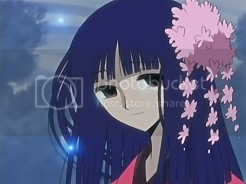 Second of all, xxxHolic has been blessed with a cast of amazingly likable characters. They both work in comedy as in serious scenes. Our main character is very easily annoyed, (after which he starts acting hyperactive) and he’s surrounded by characters who annoy the hell out of him. At the same time, He’s also very curious about the things he runs into, and often does things that he knows are bad for him. He works at a very peculiar shop: a shop who grants wishes. The woman who runs the shop, Yuuko, has a huge affinity with supernatural events, and often has to explain the things that happened during the course of the episodes. 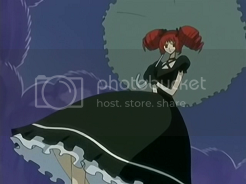 That’s another good part of xxxHolic: the dialogue. At first sight, the graphics look very low-budget. Though that’s just something that you need to get used to. It doesn’t really hurt the anime. In fact it does give it its own style, if you combine it with the character designs with extremely long limbs. Unfortunately, there are others who don’t share this opinion. The bad-looking graphics are one of the biggest reasons for people to drop this show. 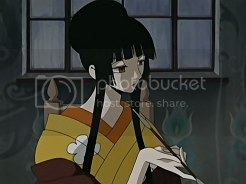 Overall, xxxHolic was a very interesting watch. Some episodes were amazing, other were just good. It’s not among the best anime ever, but definitely worth the watch. Second Season confirmed, but do we know if it will be panimated by Production IG ? Cuz if it’s animated by Production IG, we can expect crossover with Tsubasa. Since Production IG will do Tsubasa’s continuation too. Once I got over Watanuki’s irritating yelling almost non stop for the first two episodes this was really great to watch. The arcs featuring Yuuko were always intriguing and every other arc was interesting in their own way. Especially loved those few horror episodes in the middle. Long limbs, lol. It definitely turned comedic and made me pay a lot more attention to the art and scenery. There was this huge Natsume Yuujinchou vibe at the very end which is of course an excellent thing! I thought the art style was really good in this anime, in fact its the main reason I watched it in the first place.